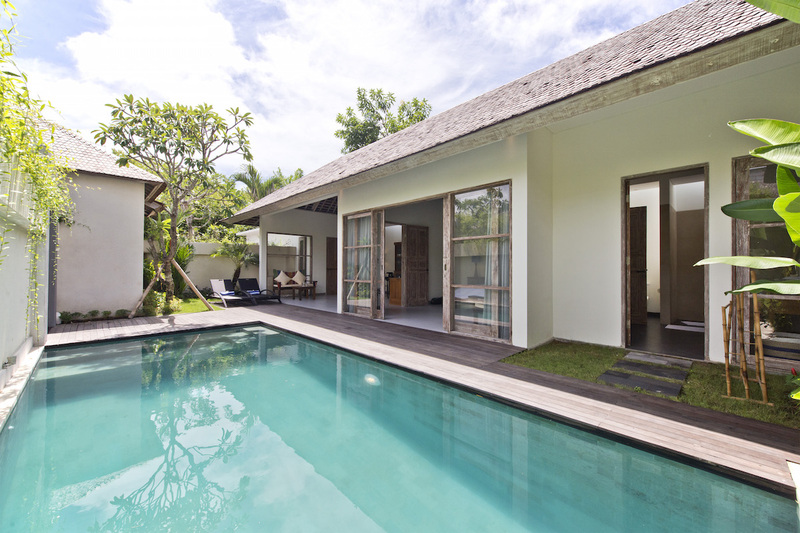 The exclusive villa consists of 6 uniquly designed one bedroom and two bedroom villas located in a pristine and prime location of Bali which is only a stone throw away from the main attractions. With close proximity to Legian and Seminyak beaches, The villa is the perfect mix of the tropics in a contemporary, authentic and local acrhitcture as well as captivating landscaped garden view where you can fully relax your mind. Each villa has its own private swimming pool. Come and stay in one of our villas and make holiday in Bali a memorable one. You can find the indicative price list as below: *Price inclusive of breakfast and return airport transfer. 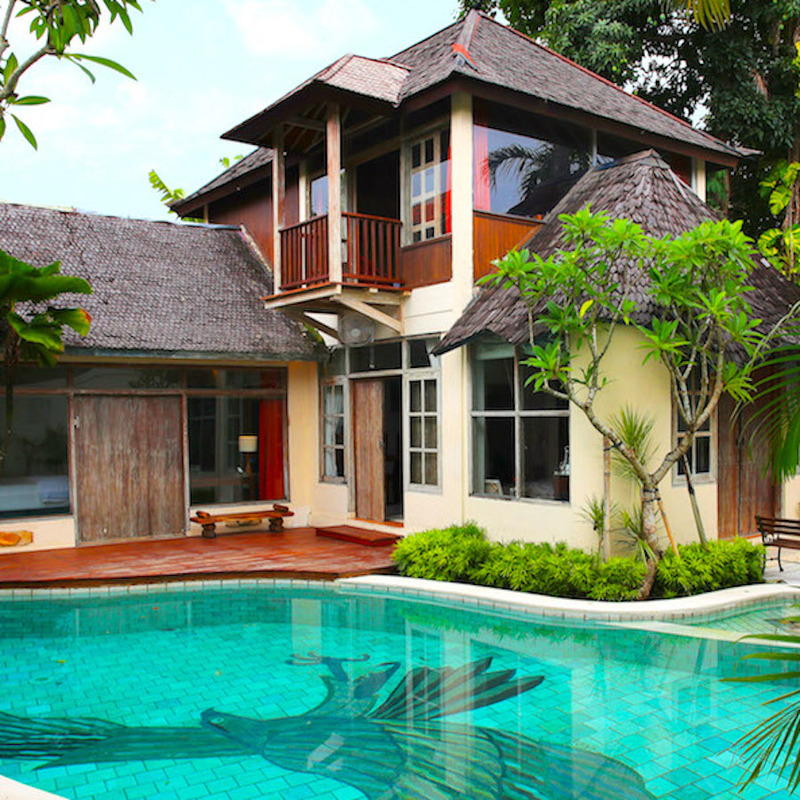 The exotic guesthouse is a 3 bedroom villa with swimming pool in Seminyak, Bali. 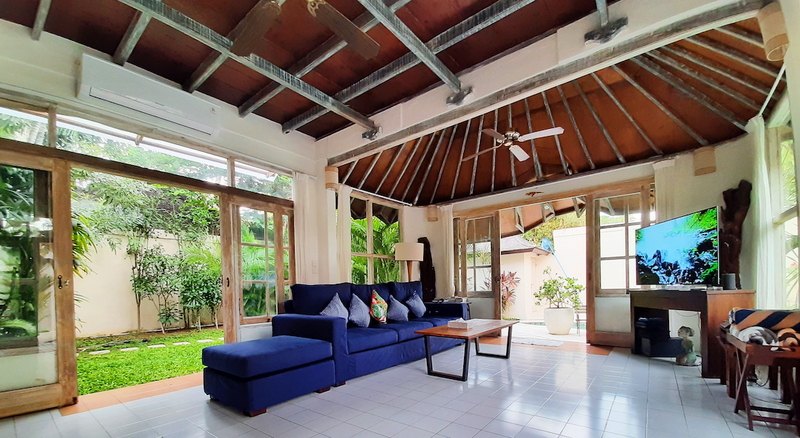 It is located at a convenient location just 5 minute walk from the bars and beaches in Seminyak. The villa has a huge swimming pool and is exceptionally spacious. The huge lounge in the common area makes social interaction so much easier and fun when everyone gets together. The house also comes with a kitchen and dining room just in case if you decided to pamper yourself with mouth-watering Balinese cuisine. This is the perfect spot to base your Bali holiday. With stunning setting in the serenity of a tropical garden, get ready to start your exotic islandic experience. You can find the indicative price list as below: *Price inclusive of breakfast and on-site butler service on request. Airport transfer (one way) with minimum 2 nights booking. Price is subjected to 20% surcharge during peak season in July, August and Year End Holidays. We provide breakfast to all bookings made. We serve a wide range of menu - from French toast to traditional Balinese delights like nasi goreng and mi goreng. All breakfasts served with freshly picked tropical fruits and fine selection of Balinese coffee or tea. Be it to stay connected with your loved ones or stay active on your social media, we heard you. We provide fuss free broadband connection at your convenience. We promise you at the least you can check, read and reply your email. Tired of bartering for a fair taxi fare? Fret not, our villa provides airport transfer on request which gives you peace of mind. Just cleared the custom checkpoint and picked up your baggage, we will have someone at the arrival gate welcoming you and pick you to our villa. And yes, for return too. Epitome of luxury setting, enjoy a dip anytime of the day as we designed the pool near to the room with direct access. Swim away the heat in the cooling water or enjoy a coconut drink by the pool, there are so much more to celebrate with a private pool. Open concept garden to give you a splash of greenery. You can enjoy the landscape or immerse yourself by doing some meditation or yoga. At the exclusive villa you get to enjoy the modern garden setting whereas at the guesthouse be amazed by the rows of tropical coconut trees. We have personal butler to meet your needs. Whether you want to order something from the supermarket, have a massage or any other special request, just drop us a line when you fill up the contact form. We can also customize for ya! Ready to reserve or book your holiday with us?